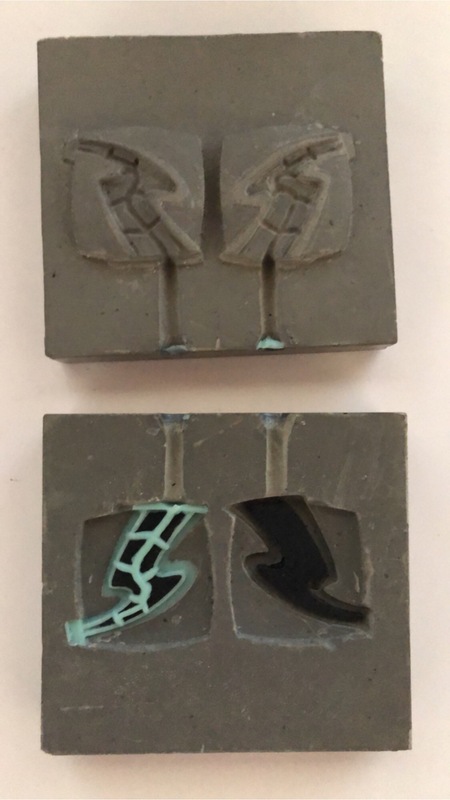 This is a more complicated mold but you can kind of tell how it works. 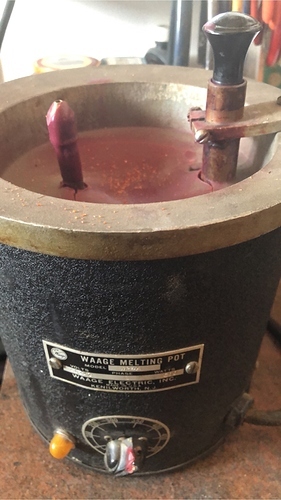 The picture of the hand pump wax pot is because that’s what I need to fill out the mold. If you’re doing large thin pieces without undercuts you could use the hard urethane and get excellent waxes if you get the hand pump wax pot. I’m so sorry for taking so long to get back to you on this. This stuff overwhelms me, so I get focused on other things! This does look too complicated for me at this point. But I’m filing it for future reference. I’m confused. you don’t need Large Mold frames? I do, but I lack the equipment and technical skill to make a mold as you have. We can make a mold frame of any size for you. Please tel me what size mold you want to make. How large do you need ??? L X W X D ?